Rosewater is an ideal skin toner a fragrant water, which carries some of the beneficial properties of rose for the skin. It is gentle, soothing, and balancing and using rose water for skin care is a great way to treat dry and ageing skin naturally. It’s from the generations, rose water has been used by women across the world to enhance their beauty. There are so many uses of rose water. This perfumed liquid has both medicinal uses and beauty uses. Let’s see why is rose water good for your skin, face and eyes. Rose is an excellent astringent, which means it tightens skin tissue. This helps to reduce dryness and to give skin a more even tone. Smoothing and firming the complexion, it is also great for reducing fine lines and sagging. Rose water is excellent for slowing skin ageing. Using this natural toner regularly can also help to reduce pore size. While primarily an astringent, rose water also has anti-bacterial and anti-inflammatory properties. It is a great cleanser and aids in removing oil and dirt accumulated in clogged pores. Rosewater helps to maintain your skin’s pH balance. Rose Water has an anti-ageing effect and also helps in reducing common problems such as acne and redness. Instead of using a commercial toner, which may contain irritating ingredients such as alcohol, try this gentle beauty alternative. After cleansing the skin, dab rose water over the face with a cotton ball or cloth. It also has anti-bacterial properties which help in healing scars, cuts and burns. 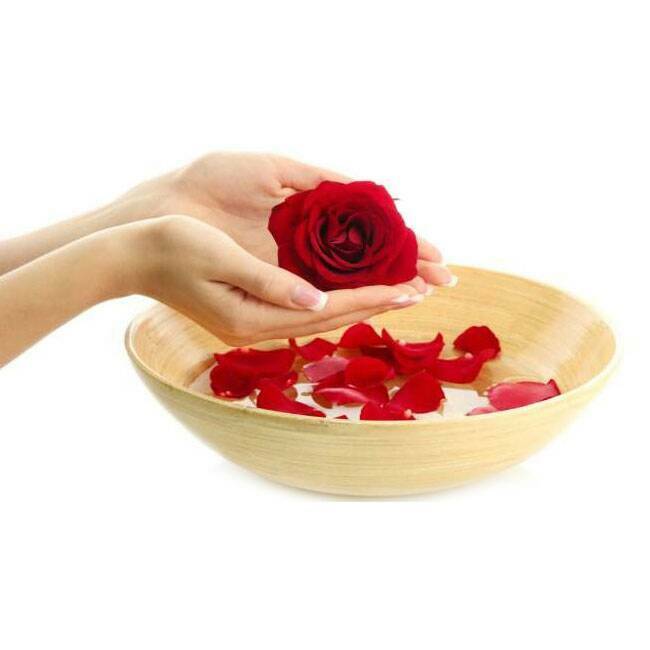 The anti-bacterial and antiseptic properties found in rose water come handy in a lot of ways. It helps us protects from the dust, pollutants, redness, inflammation of the eye and harmful ingredients of makeup and beauty products. It acts as an excellent eye drop for relaxation. Take some water and add a few drops of rose water to it, then rinse your eyes well using this cotton pad and relax for 5-10 minutes. This helps relax and washes extra dirt present in the eyes. Rosewater prevents and calms the sunburn owing to its anti-inflammatory action. You can refrigerate rose water and spray it once you return from the bright sun to aid in the loss of heat. Do not spray rose water when you are in the bright sun because it might reduce SPF of your sunscreen. The best and easiest way to use it is to apply it at night on the face. It helps clear all impurities that your face has collected through the day. Rose water can be added to any face pack to impart soothing and hydrating properties. The nourishing and moisturizing properties of rose water enhance the quality of hair. It is known to treat mild scalp inflammations and get rid of dandruff. Rosewater works wonders as a natural conditioner and revitalizes hair growth. Rose water is said to cure insect bites too. Apply a few drops on the skin where you have insect bites.